I first met Lisa DeLuca because she volunteered to review my book, Internet Dating Is Not Like Ordering a Pizza . The review was so well done that it got an Editor’s Choice Award at Suite101. One thing I appreciated was that she gave a balanced look at the book by providing positive as well as potential negative points. Lisa specializes in writing copy for small business websites and medical sites. She is the Personality/Anxiety/Mood Disorders Feature Writer at Suite101 where she writes about spirituality, inspiration, environmental issues, family caregiving, parenting, and mental health. 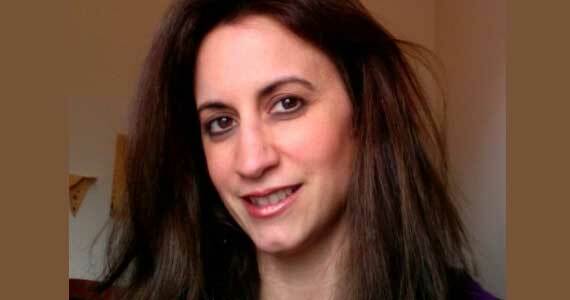 Lisa is also the New York Hamptons Community Examiner and a licensed social worker. Her psychotherapy practice focuses on families and relationship issues. She also specializes in short-term, cognitive-behavioral treatment for panic disorder and agoraphobia, and runs caregiver support groups. Lisa is truly a joy to know and work with, and I’m happy to present this interview with her. I like writing non-fiction and poetry. I am a frustrated artist. I don’t really have the patience to learn how to do art so I enjoy recording my memories of what things feel like and look like with colorful and sensual words. I feel compelled to write. I don’t know why or where it is leading, or what the outcome will be. But since I am compelled I am trying to respect that. I’m by far the most creative very early in the morning when I am hardly awake and my subconscious mind is still active. I never really thought about writing until I was a senior in college. I was a Resident Assistant and each night that I was “on duty” in the dorm I had to update the log book. It was a way of keeping the other RA’s up to date on what was happening around the dorm. Another RA made a point to tell me that my entries showed a writing talent and I should think about writing. This had an impact on me and stuck in my mind. It was as if this comment brought it into my consciousness for the first time, the fact that I loved to write. I think it was better that I hadn’t realized it when I was younger because that way, no one ever had the chance to talk me out of it or undermine my confidence. My favorite author who writes about writing is Natalie Goldberg. At the time I was a fundraiser for a non-profit agency. Most of my job involved writing and I made a pretty good salary. But it wasn’t until I read Writing Down the Bones and Wild Mind that I started calling myself a writer. But right now I have to say, unapologetic-ally, that I’m in love with Erin Hunter’s young adult series “Warriors.” I’ve read the 18 books in the series plus some of the super editions. I can’t wait for the next one to come out. Writer’s block happens. Getting past it? Three choices: just move past that section and on to the next one; take one thought from the section and do a stream of consciousness exercise, i.e. just keep your hand moving for 20 minutes recording the random thoughts in your mind without thinking or editing. Or if all that fails, take a break – fill up the well, so to speak, take in some information, whether it’s more research or just witnessing something inspiring. I feel like I need advice more than I can give it, I’m still learning how to navigate in this craft. Recently I did learn that you should write what you want to write before you write what you have to write. This will keep the creativity flowing. Learn more about me at my Suite101 profile: http://www.suite101.com/profile.cfm/lcdeluca. I also write in the Long Island edition of Examiner.com. Be the first to comment on "Interview: Lisa DeLuca"